KISS frontman Paul Stanley is questioning the legitimacy of the Rock & Roll Hall Of Fame, as his band continues to be denied entry into the institution. "Look, the Rock and Roll Hall of Fame is marketing," Stanley tells the Huffington Post while promoting his involvement in a newly-expanding restaurant chain. "You've got a bunch of faceless people in a back room who trademark a name that sounds very official. Well, if you had thought of it first, you would have been the Rock and Roll Hall of Fame." KISS have been eligible for the Rock Hall since 1999; asked if he thought the band might one day be voted in, Stanley responded, "Well, it depends on who lives longer, us or [Rock Hall chairman and Rolling Stone head] Jann Wenner." Fans have a tendency to blame Wenner for the KISS snub, but the real obstacle may be journalist Dave Marsh, who plays a key role in the selection process and once told MTV, "Kiss is not a great band, Kiss was never a great band, Kiss never will be a great band, and I have done my share to keep them off the ballot." "It's absurd for anybody to look around and hear the acts and artists who cite us as an inspiration, and then tell me that we're not in the Rock and Roll Hall of Fame," Stanley continued. "I'm not here to make converts, and I think that the people who choose not to see things, I'm not missing their adoration." 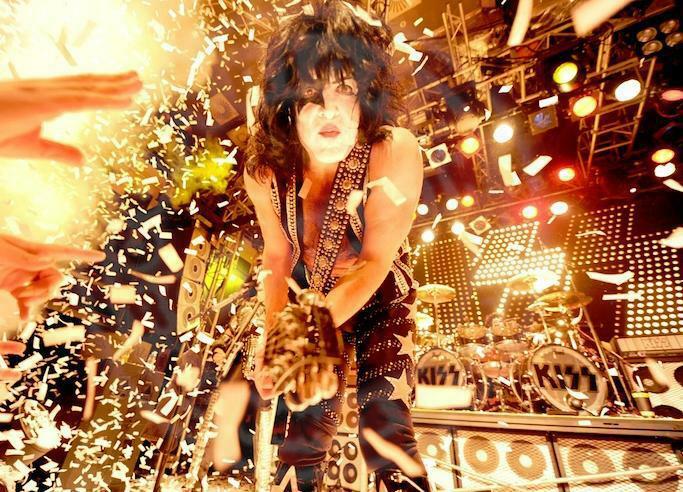 If anything, Stanley said, he'd like to see KISS recognized for the sake of the fans. "I would certainly accept on their behalf because it seems to be a major sore spot for them," he said. "But I don't need the Rock and Roll Hall of Fame." KISS kick off a European tour in support of their latest effort, “Monster,” on June 1 in Stockholm; an extensive Canadian tour begins July 5 in Victoria, BC.